Despite the fact that the cryptocurrency industry is improving day by day, creating more and more reliable mechanisms of protection against fraudsters, even today one cannot be completely confident in the safety of their own funds. As a rule, scammers do not choose large crypto resources as victims, but users who are less aware of security and become sitting ducks. In this article, we will talk about a few fraudulent schemes and figure out how to confront them. Phishing sites are copies of real resources that steal user data. As a rule, scammers create duplicates of exchanges, exchangers and online wallets, because on such platforms users specify the information required to access the accounts. An example of such a phenomenon is ShapeShit.io, which was a phishing version of the ShapeShift.io resource. In 2016, one of the Reddit users said that the exchange platform had stolen several bitcoins from him. The creators of the original exchange reacted on time and published a press release, which declassified the scammers. To protect yourself from such frauds, we recommend checking the address specified in the browser each time. Even minor changes as a dot is a signal that the resource is not original. Furthermore, pay attention to the availability of SSL-certificates, because they are much more difficult to fake than the interface itself. It is noteworthy that sometimes phishing sites are even advertised by search engines. These schemes work in the following way: attackers release a program, promising a new functionality or the prospects for large earnings; users download it, infecting their PC with a virus, which then replaces the addresses and QR codes used when sending funds. Thus, your funds go to the attackers instead of your specified address. 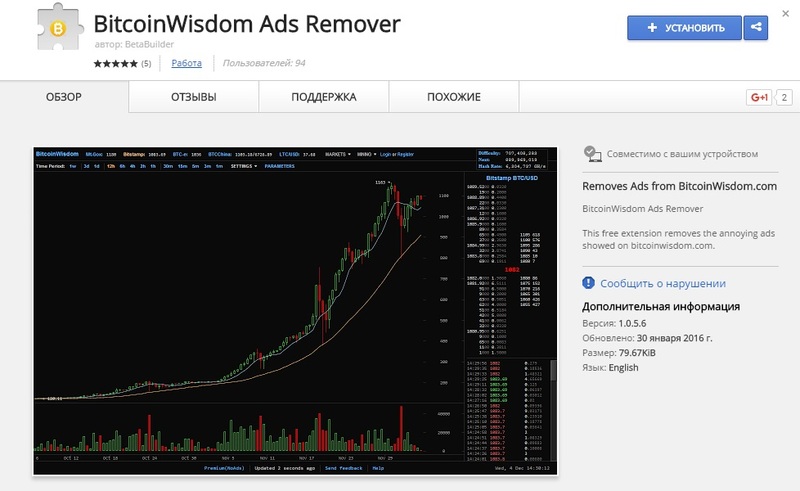 An example of rogueware is BitcoinWisdom Ads Remover for Google Chrome. This script was able to change the recipient’s data. Because of using this add-on, a large number of users simply sent money to scammers without suspecting it. To protect your finances, never download applications from untested resources, especially from forums, social networking pages or from mailing lists. You should not rely on positive reviews in markets – it is easy to fake them. Use only official programs, applications and add-ons that have already been tested by time and other users. This scheme is also simple, like all the above: scammers run applications; organize forums, conferences, etc. They carry out these activities under the name of famous people. For example, London Bitcoin Forum. In the program, the attackers prescribed a large number of speeches by well-known figures in the crypto industry and collected money from those who would like to attend the forum. Eventually, their site was deleted, and pages in social networks were blocked. No one got their money for the entrance tickets back. Another great example of this kind of fraud is Wind Wide Coin ICO. In the promotional materials of the project, the attackers noted that Prince Charles and Jennifer Aniston have already supported them. In fact, none of them even suspected the existence of this project. Actually, you should not trust headlines and photos of famous people. You should always analyze the projects you invest in, read reviews of influential media and information resources, and treat everything with a certain degree of skepticism – this often helps to avoid awkward situations. Promises. Scammers often lure users of fairy tales about a 1000 percent return on investment in a short time. After receiving the funds, they simply disappear. Favorable exchange. Any user who works with cryptocurrency, strive to exchange it as profitable as possible. Scammers offer P2P-exchangers outside the exchanges. What can be said in this case? Any promises of huge profits or exchange at the rate much better than market is – this is scam with a probability of 99%. In pursuit of profit, you simply lose your money – use only trusted exchanges and exchangers. In the cryptocurrency industry, «trust and verify» is a rule. Do not use unchecked software products even if they promise the most favorable terms. In order not to become a victim of scammers, you need to get reliable information as soon as possible. We have collected top 20 useful telegram channels, which we use ourselves. You can read more.